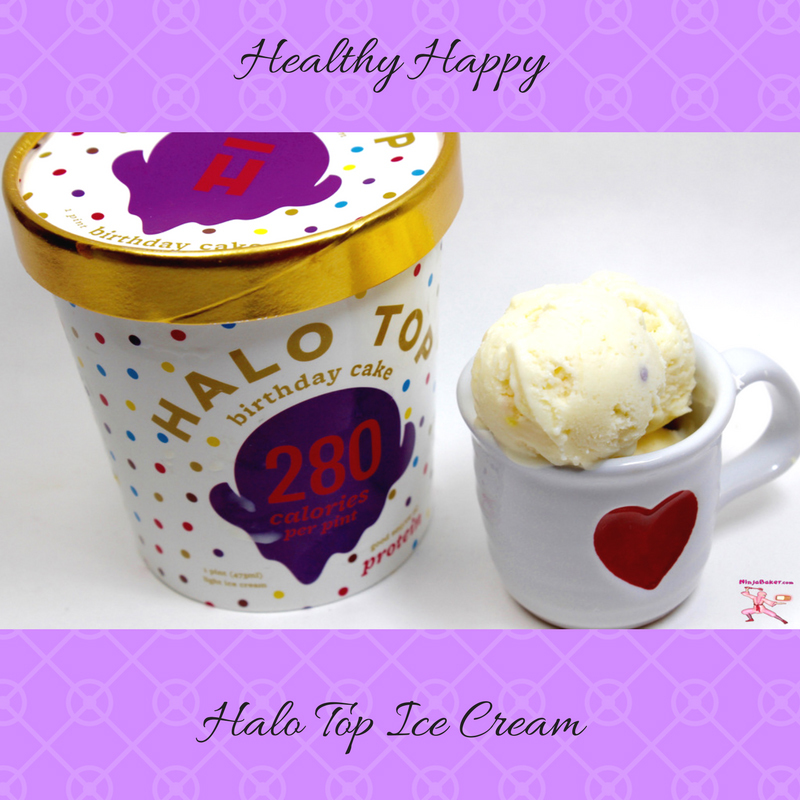 Halo Top ice cream was provided for this review. All opinions are my own. Globetrotting around the world with my tennis star mother during school holidays had its perks. Exposure to other cultures and perspectives was one. Tasting desserts and ice cream of other countries was another travel perk! Mom was also the tennis pro at the Cambridge Tennis Club for a spell. Summers in Massachusetts also meant Brigham’s Ice Cream. Licking a Brigham’s pecan chip ice cream cone with chocolate jimmies was sheer heaven. (Sadly, they closed operations in 2013.) 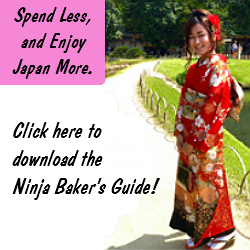 During the school year I lived with Dad, my stepmother and siblings in Tokyo. With the introduction of Häagen-Dazs into Japan, perhaps attitudes of young Japanese are changing. 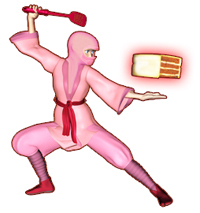 But, back in the day, Japanese ice cream was deprived of rich cream and fat. So, a scoop (or double-scoop!) was divine. My ice cream indulgences came with mixed feelings. Pleasure and guilt stood side by side. My guess is that Mom felt the same way. She loved ice cream, too. But as a professional tennis star, staying in shape was prime. So, through the years, like Mom, I’ve dabbled in diet ice creams. Halo Top is my latest try. It’s good. Better than most. But I cannot honestly say that it delivers the bliss of “regular” American ice cream. In this “mature” stage of life, I believe a bit of bliss now and then is deserved. 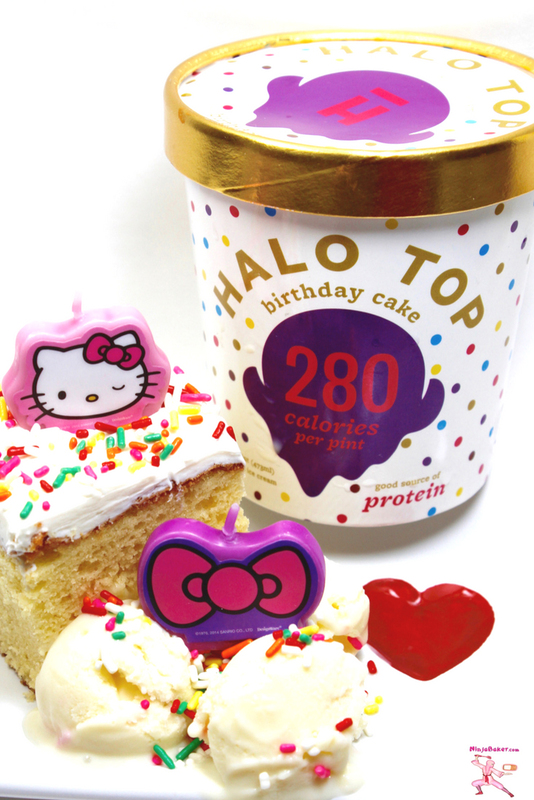 The Halo Top Birthday Cake Ice Cream I tried was true to its vanilla bean foundation. Might have been nice to have a few more sprinkles in the mix. In all fairness, maybe I would’ve formed a different opinion with a different flavor. See below for all the Halo Top flavors. 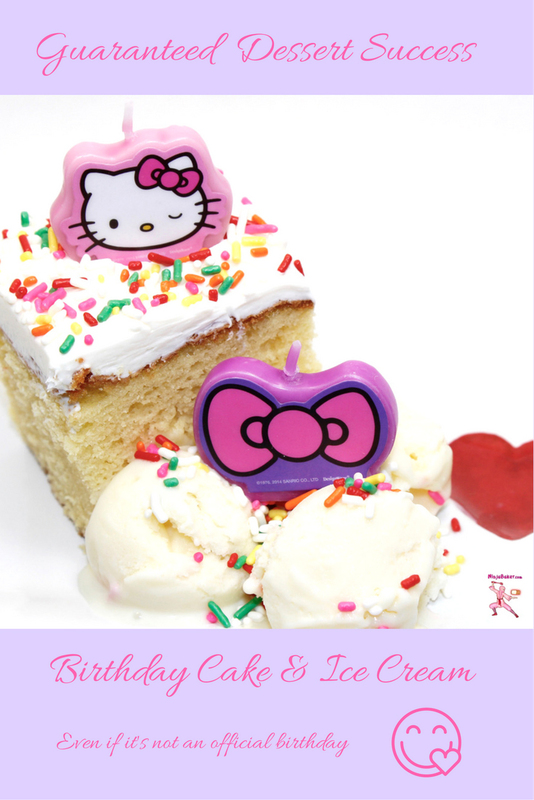 Also, melted Halo Top Birthday Cake Ice Cream is perfect for Hello Kitty birthday cake. One pint of Halo Top ice cream, melted plus ¼ cup of whole fat milk produces a light, luscious vanilla cake. 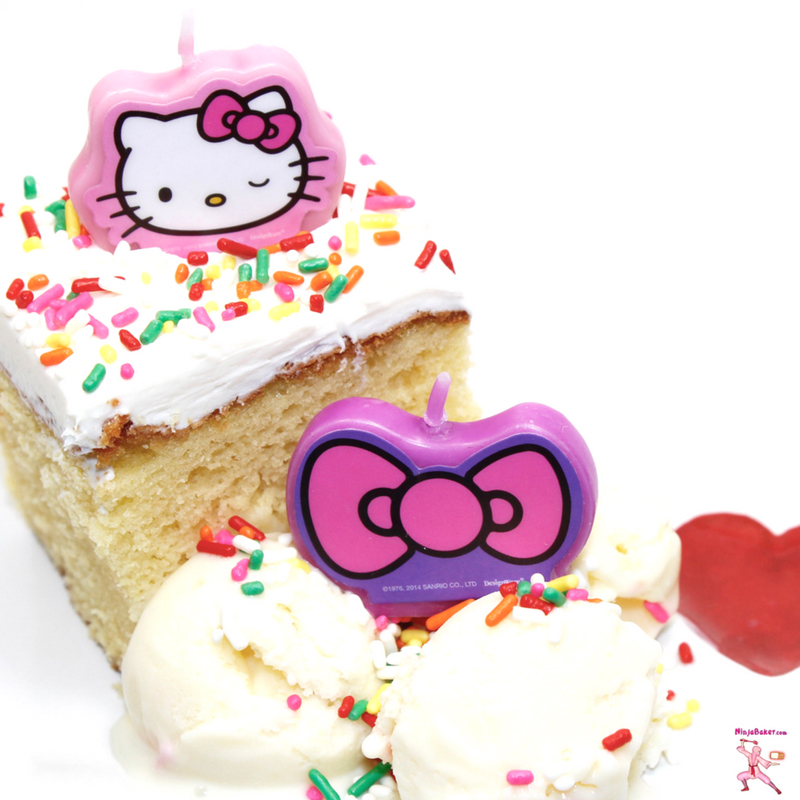 Topped with vanilla frosting, colorful sprinkles and Hello Kitty accouterment, birthday cake is a cheery way to celebrate today! Line a 13 x 9 pan with parchment paper. Coat the lined pan with baking spray. In the bowl of a kitchen stand mixer, beat the eggs on high speed for 5 minutes. Pour the sugar in a stream into the eggs. Add the vanilla. In a separate bowl, whisk together the flour and baking powder. Slowly beat into the egg, vanilla, sugar mixture on low speed. Turn off the mixer when smooth. Melt the ice cream, butter in a saucepan. Stir in the milk. Gently beat in the contents of the saucepan into the mixer bowl until combined. Pour into the prepared pan. Bake for 40 to 45 minutes or until a toothpick inserted in the center comes out clean. 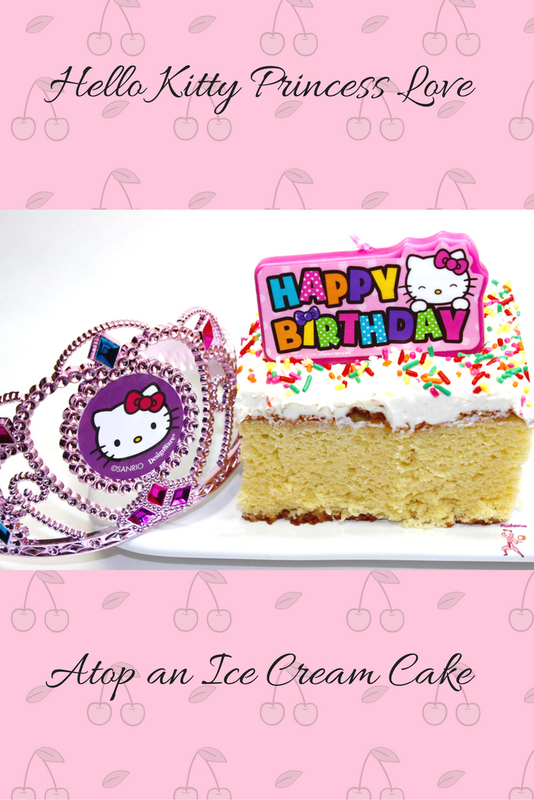 Wishing you reasons to celebrate every day!